Scott Yelich of Eagle Creek Bonsai, Indianapolis, joined us again, bringing his wares. I think this is his fourth time to be present at our show. 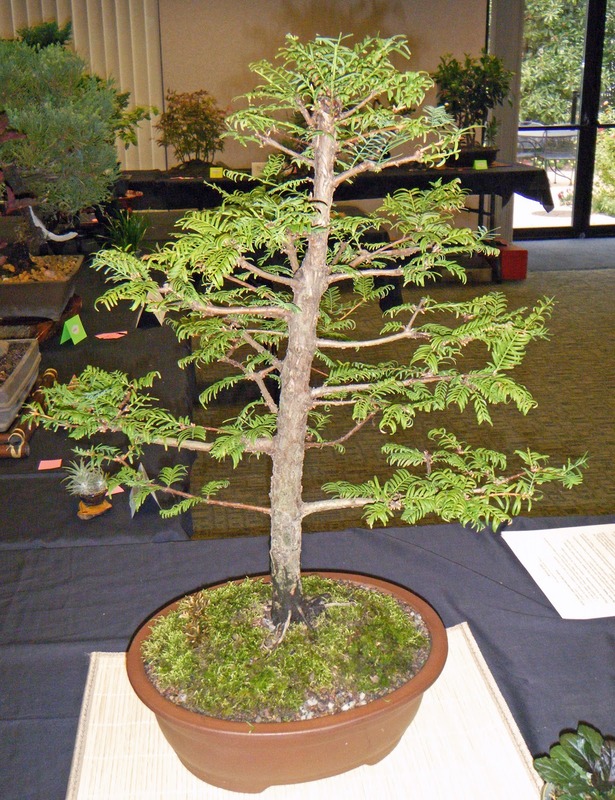 Yesterday he brought a tree of his own to display, besides the ones he brought to sell. Scott Yelich's Ficus burtt-davyi (lower left corner) got the most "People's Choice" votes. Traffic was a bit lighter than we hoped for, perhaps because of the dreary weather. There was still a decent number of visitors, including some families with children. 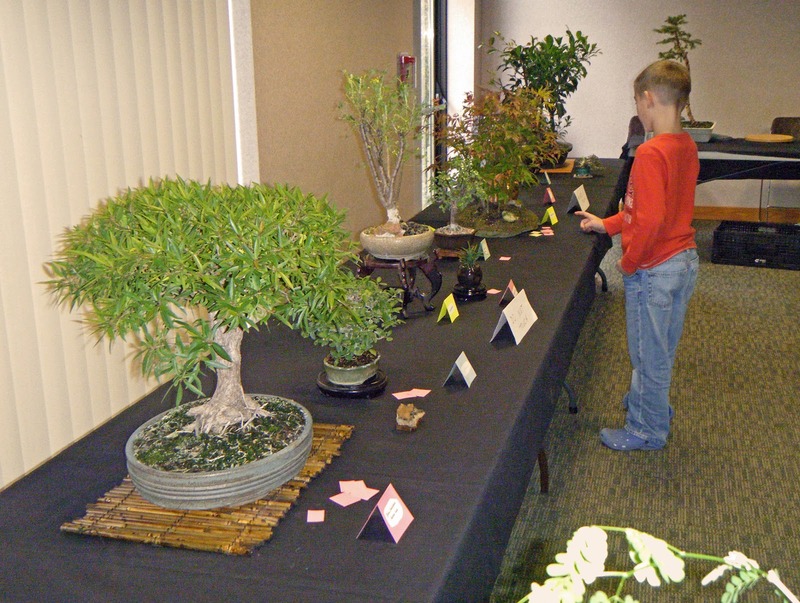 This young man took his time deciding where to cast his "People's Choice" ballot, considering various trees carefully. 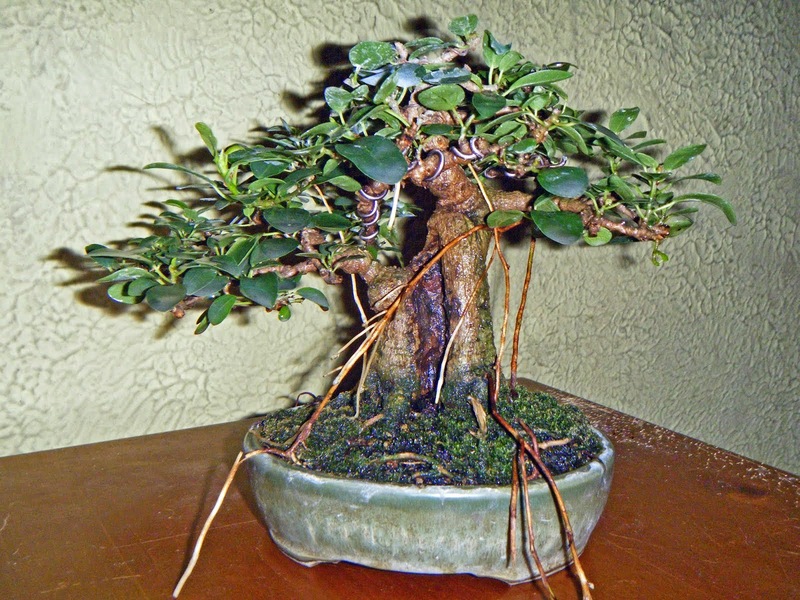 He seemed very interested in the bonsai. The next US-born master? Who knows? 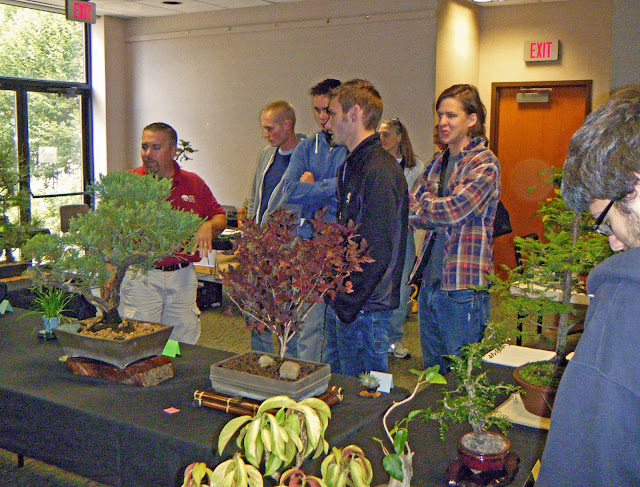 Some visitors were casual, some deeply interested. 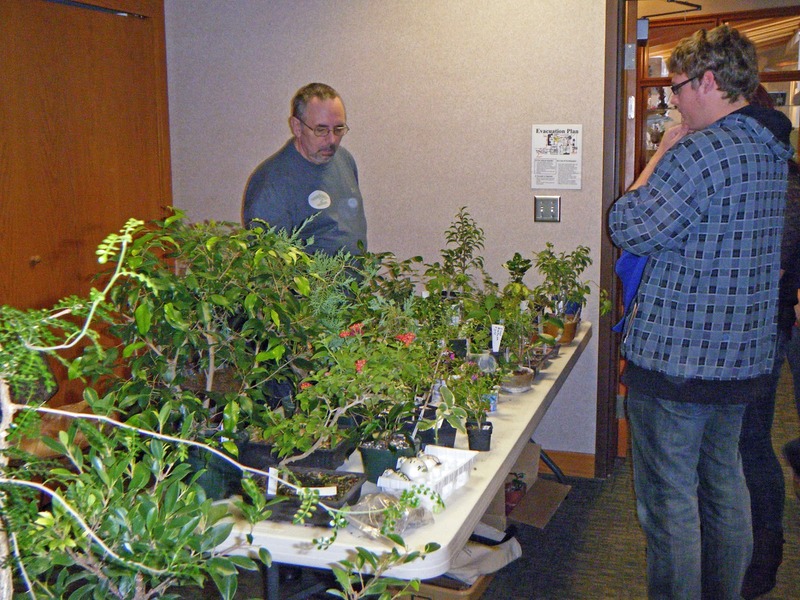 The club gained at least two new members Saturday. Ed Hake mans the sale table as a couple consider their choice. Ed's ponderosa pine, from this summer's workshop with Andy Smith. 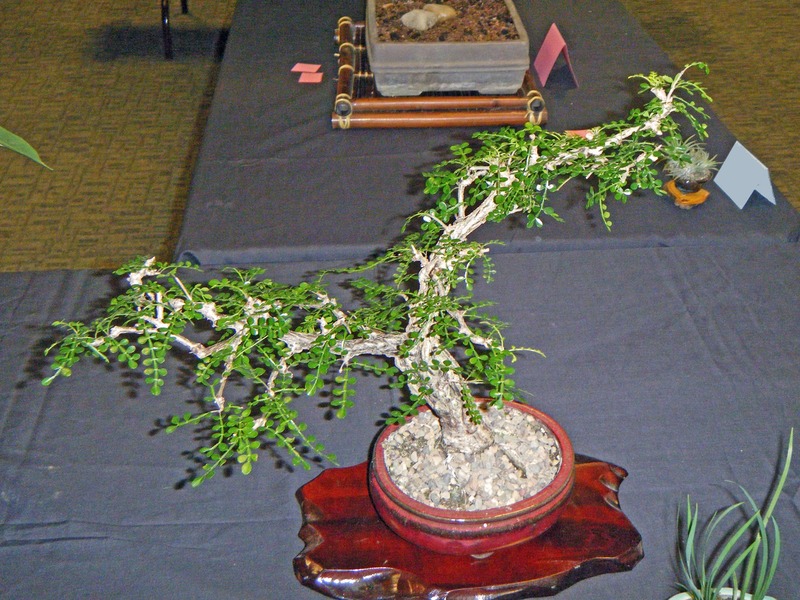 Operculicarya decaryi, or "Jabily, a succulent native of Madagascar. Natural leaf size, I believe. 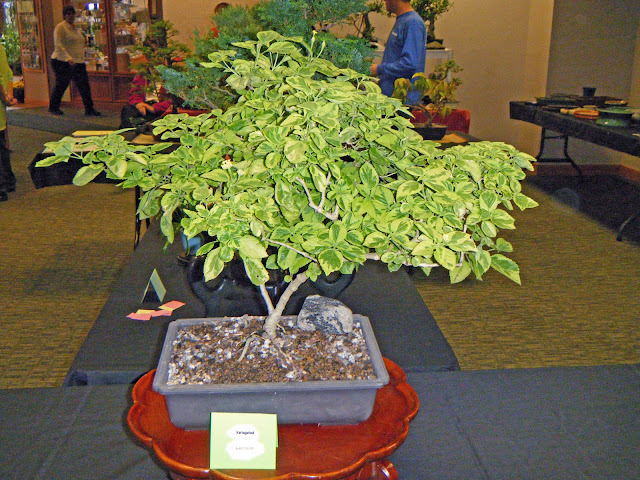 Vareigated lantana (Lantana camara;) still a young tree, but the foliage is eye-catching. 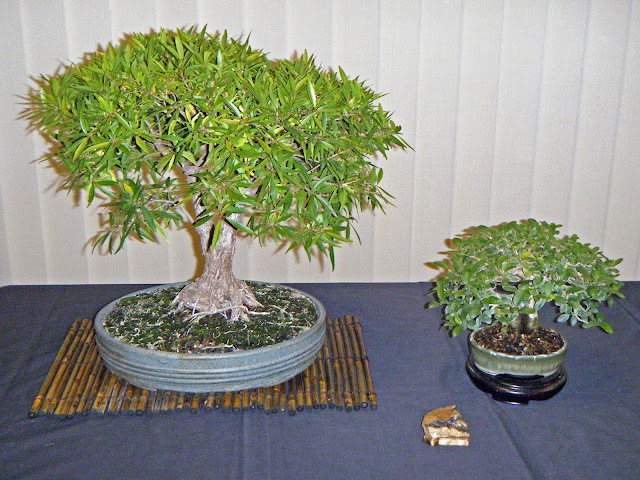 At last year's Mid-America Show, Ryan Neill described "three-point display," which is coming into use in Japan and in the West as well: a medium-sized bonsai, a shohin or mame, and an accent. (Who says bonsai conventions are stuck in a rut?) I decided to give it a try. 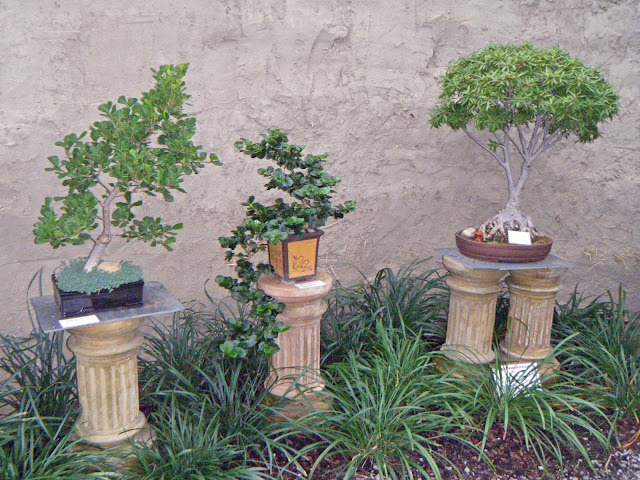 Willow-leaf fig (Ficus salicaria,) veldt fig (Ficus burtt-davyi,) and my so-far-only suiseki. 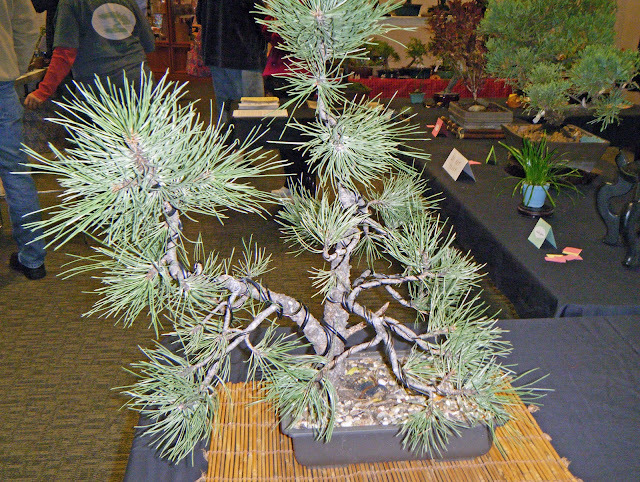 I did a styling demonstration during the Show; but there's a story connected with that particular tree, so I'll save it for my next post. Finally, I can't say enough good things about the cooperation that the club gets from the present management of the Conservatory. 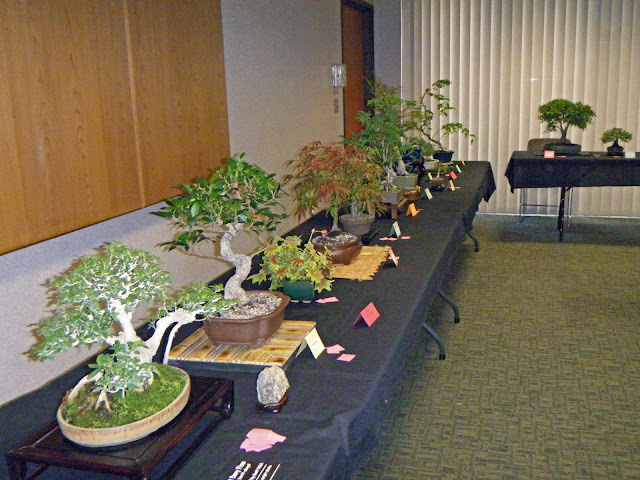 A second display area (picture below) was set up in one of the main exhibition houses, away from the room where our main display was; and several club members were asked to display a tree or two there. The spot included a few chairs, for visitors to sit and enjoy the bonsai. Thank you, Conservatory staff!